that carpark is a perpetual nightmare. just up and around the corner there's plenty of street parking. the time it takes to walk from up the street is less than the time it usually takes to find a spot in the carpark. that particular carpark brings out the worst in me. So, I have to take some responsibility for my frustration. 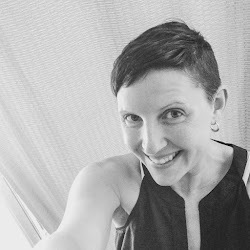 I know these things already, and I have choices to make - choices that can simplify my life and keep my brain in a happier place. If only I could program a reminder into the GPS. With her clever, British accent: "Please do not park here. Please park up the street. Smile." Ah yes, of course. Thank you. Ever since my friend Jenn introduced me to quinoa tabouleh (and no I'm not telling you how long ago that was ... ), I've preferred it to the regular, traditional bulghur kind. 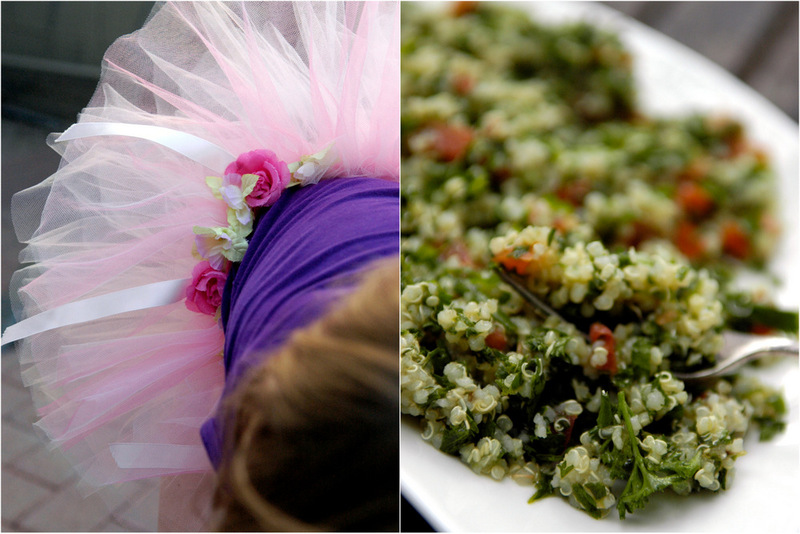 When it's cooked, quinoa grains have a certain lightness and separation that makes them (I think) better for salads. I cut back a little on the parsley from most recipes, because I wanted to maximise the chances my 4 year old would love it, but with the garden-fresh mint and chives in there it's still pleasantly green and herby. This goes perfect with fresh bread for a light lunch or dinner, or as a side dish with anything Mediterranean. Mix everything together and eat! I stock up on bulk organic quinoa and olive oil when they go on sale ... and all the herbs came from my garden (or my friend Michelle's) - so this organic salad cost me about $0.50 a serve. i'm flattered! Can't wait to try this new and improved version. It''s now on the list for this weekend. Thanks! Hope all is well there! Miss you! I still have to cook with quinoa and know I must be the last person on the planet to try it! You are smart to have decided to pick your battles with what frustrates and annoys you. We waste too much time and energy letting those *little things* throughout our days get the better of us. Yes that carpark. But it is adjacent to awesome fish place, deli, coffee and beautiful ballet studio. Alas. Happy you liked the quinoa cake - raspberry is a great idea!! I hope you don't mind, I had to share this on facebook! I love the way you processed that situation. I'll be mindful next time I get frustrated. Looking forward to some herby quinoa too. 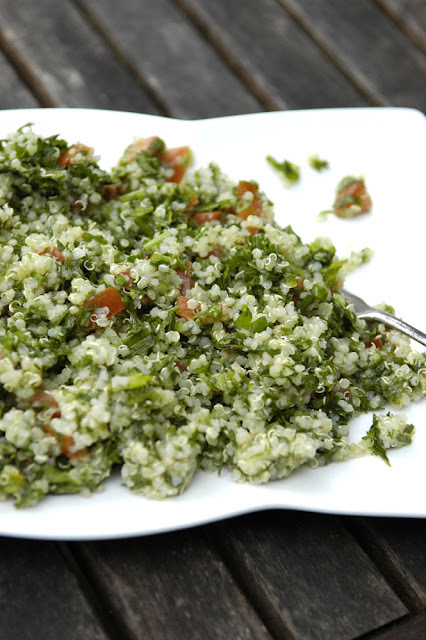 This looks like one tantalizing tabbouleh! looks great...can't wait to try it! Made your recipe last night and loved it. Quinoa is the best! I'm going to try out this recipe tonight. It looks and sounds yummy!